It’s fair to say that job interviews are nobody’s idea of fun. They say practice makes perfect, but even if you’re well versed in applying for jobs it can quickly become discouraging. Really, who enjoys rocking up to a place you’ve never been before and putting on a grownup façade for half an hour while trying to rattle off the reasons that make you employable? Nightmare fuel, I tell ya. One of the biggest concerns when going into a job interview is the fear of doing or saying the wrong thing – after all, first impressions matter. Well, LinkedIn have revealed the worst interview mistakes people make, so you don’t need to make them. The online networking site conducted global research, reaching out to 100,000 professionals in order to source their data. Here is what hiring managers say are the main reasons they’ve rejected an applicant. First impressions matter, and rocking up late won’t exactly get you off to a flying start. According to the findings, 56% of hiring managers say that showing up late with no apology or explanation is one of the top reasons why they’ve actually discounted a candidate. “It’s totally unacceptable in this age, where you really want to show your commitment to the workplace,” says Shiva Kumar, LinkedIn spokesperson. “It’s no surprise that showing up late is one of the worst possible starts to an interview”. Look, there are absolutely legitimate reasons for being late, and having them fall on the day you’re supposed to interview for that job you really want is just plain bad luck. However, it pays to be upfront and honest. Calling the company and giving them a heads up might feel like an awkward convo to have, but you better believe it’s less stressful rocking up and hoping they won’t realise – they will. There’s no such thing as lying on your resume, just extended versions of the truth, yeah? Ah, apparently not. 47.3% of hiring managers have given a candidate the flick for lying about their professional history. “You need to be very authentic these days, and that’s why it’s important to keep your LinkedIn profile updated,” says Kumar. “ Having a network and getting colleagues to endorse your skills is a very important part of your professional history, showcasing your professional career and expertise”. Next time you consider embellishing the truth by claiming you are bilingual or have expertise in an area you know little of, consider how awkies it’s going to be when you’re expected to prove it. They say you should dress for the job you want, so if you’re gunning for a job in a swanky law firm, shorts and a tee is probably not going to cut it. According to the findings, 39.9% of hirers have turned away a candidate for unprofessional attire. For some, picking out an outfit be a breeze, while some may have absolutely no clue. I get it though, especially if it’s your first ‘grown-up job’ or a role within an industry you aren’t too sure of, deciding or even knowing what to wear can be difficult. It’s always better to be overdressed than underdressed. Even if you show up in a suit and everyone else is rocking smart casual, it’s better than feeling as though you’ve just crawled out of a sewer. 33.7% of hiring managers said they gave potential candidates the boot following an argument during the interview. This one is pretty straightforward: if you and the manager are butting heads from the get-go chances are you have very differing views or beliefs. At this point, you might want to ask yourself if this is a job you really want, or a management team you’d like to work under. “The top three factors that are most important in terms of hiring are they look at strong communication skills, strong knowledge of the company and its values, and the candidate asking well informed questions,” says Kumar. 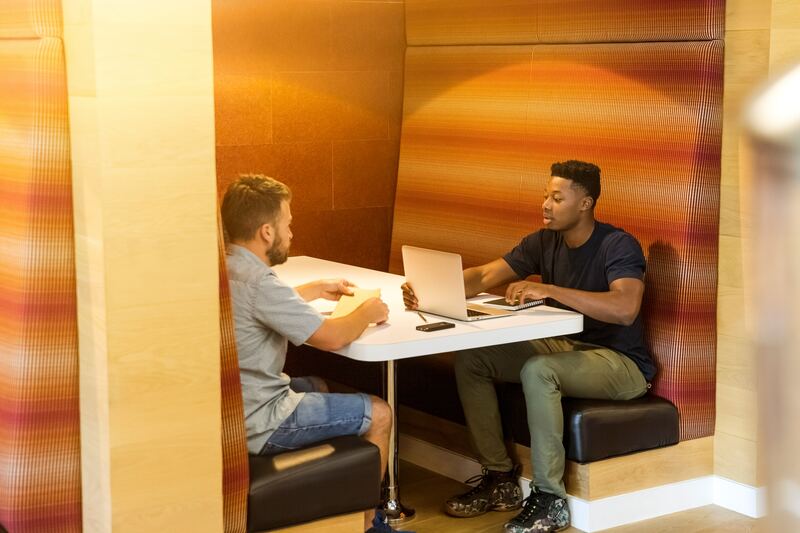 If you’ve applied for a job and have been asked back for an interview, it’s important to prep yourself as best as possible, and this includes understanding the company’s values and culture. 28.6% of hiring managers have said that they’ve dismissed applicants due to being tone-deaf or unaware of these things. It doesn’t take much to do a quick Internet search to get a feel for what the company is all about, so do so. Alternatively, if you’ve still come up blank, the interview is your chance to ask the question. 26.1% of managers say that an interviewee not preparing any questions is enough to give them the flick, so if you’re unsure of anything, just ask. Now that we’ve told you the worst interview mistakes to make, you’ll know what to avoid come your next job interview.